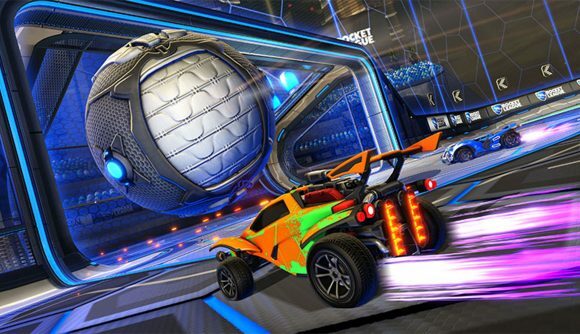 Rocket League is the latest competitive title to bring esports into the game itself, as Psyonix has detailed the first iteration of its Esports Shop. The developers are partnering with eleven Rocket League Championship Series teams for the pilot programme, and those teams will receive a share of the revenue for sales made through the shop. The shop goes live on April 16 at 10:00 PDT / 13:00 EDT / 18:00 BST. The update will bring a new menu option that’ll take you to the shop and its selection of six in-game items. Those items will rotate on a daily schedule reset at at 12:00 PDT / 15:00 EDT / 20:00 BST, though some items will swap out after 48 hours instead of 24. You’ll purchase Esports Tokens to get these items, similar to the Overwatch League token system. The prices start at $0.99 USD for 100 Tokens, and go up to $19.99 for 2,500 Tokens. The packs will be offered in regional currency equivalents, as well. Participating teams will receive 30% of the revenue generated by that team’s items. An undisclosed portion of revenue will also go to North American and European RLCS players through the prize pool. The initial teams participating in the programme are Cloud9, Dignitas, Evil Geniuses, G2 Esports, Ghost Gaming, mousesports, NRG Esports, Rogue, Splyce, TSM, and Team Vitality. You can see more details on the official site. Rocket Pass 3 will also launch next week, so you’ll have plenty of new reasons to put money into the game – and, of course, get some new items along the way.